Drupal 8 provides a strong foundation for enabling organizations to deliver better data-driven web, mobile, and social experiences. With great many new enhancements, and a familiar user interface for editing features, Drupal 8 is a user-friendly, responsive, flexible, and integral platform, for digital professionals and marketers who need to accelerate their digital strategies. 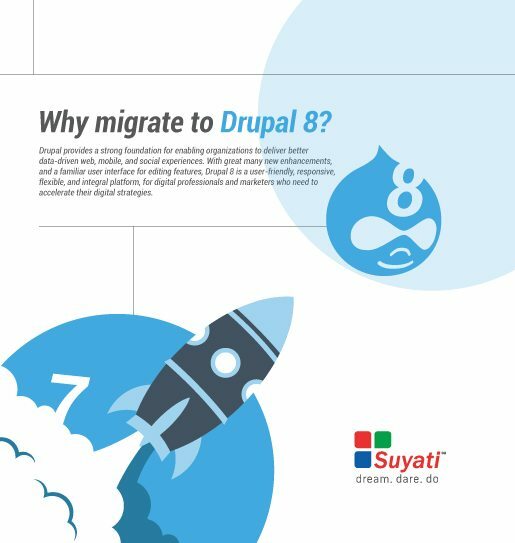 Download your copy of the whitepaper to learn more about the benefits of migrating to Drupal 8.